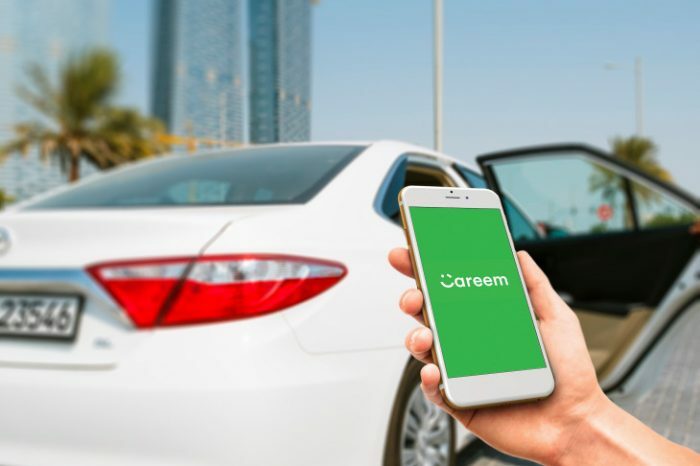 The email confirmed that Careem will now provide the halal way of fining the best match for you. The ride will have a rishta aunty with you by your side. The best part is that you can afford it on your own as it costs you nothing. 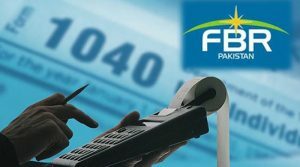 “As a 24 year old in Karachi, it is difficult to dodge questions about marriage. 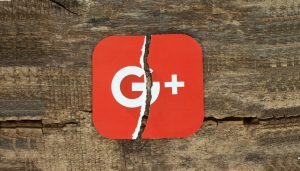 When are you breaking the good news, beta? 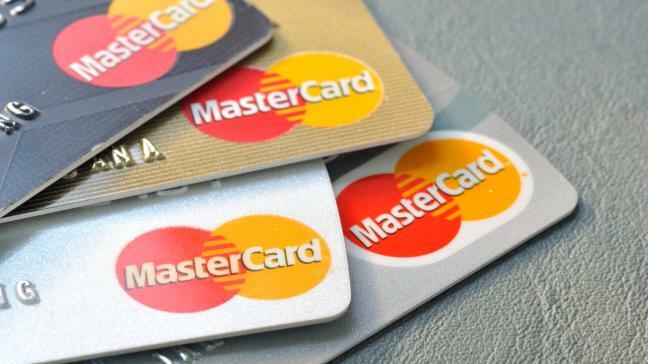 Are you going to wait until your Masters to get married? If you get married at 30, when are you going to have children? If your answer is yes to any of the above then chances are you are familiar with a desi institution: the rishta aunty. Marriage bureaus, dating sites, and professional matchmakers have been known to all cultures familiar with the institution of marriage, but rishta aunties are almost exclusively a south Asian phenomenon. It is interesting how the figure of the rishta aunty is as ubiquitous in the culture of the subcontinent as is a doctor, or a lawyer. 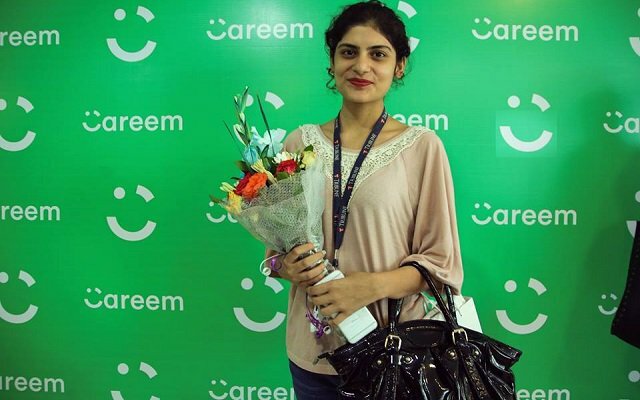 Careem is known for its quality services towards the travelling and ride hailing. This two days campaign is for all those who are finding their soul mate. 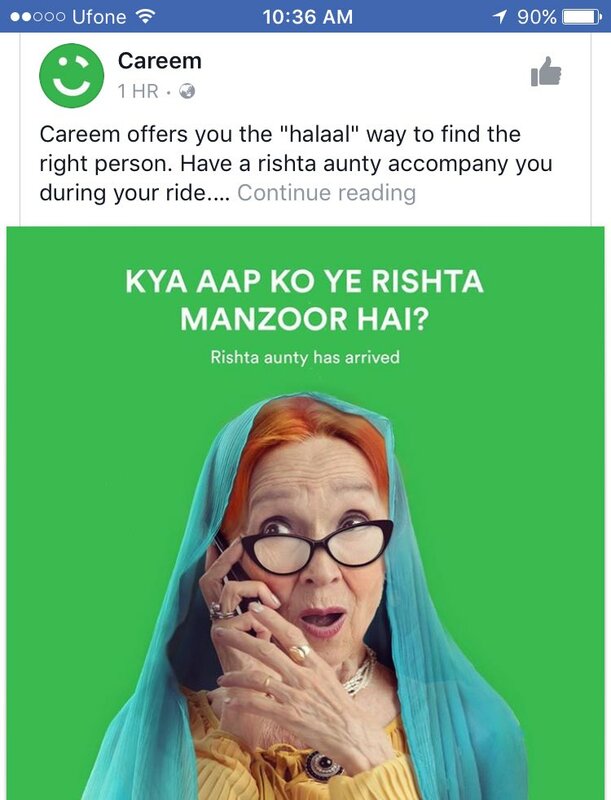 Rember that Careem is already providing wedding services with the name of “Careem Shaadi“. 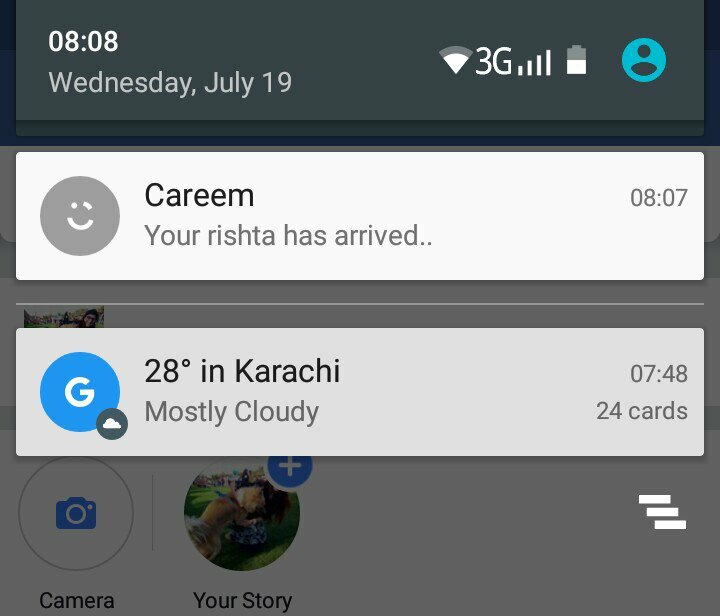 Careem on its app has introduced the rishta aunty type car and thus when you open your Careem app it will give you an option to book a rishta aunty car type and then you will be accompanied by rishta aunty with a lot of good advice and that too free of cost. Want a life partner? 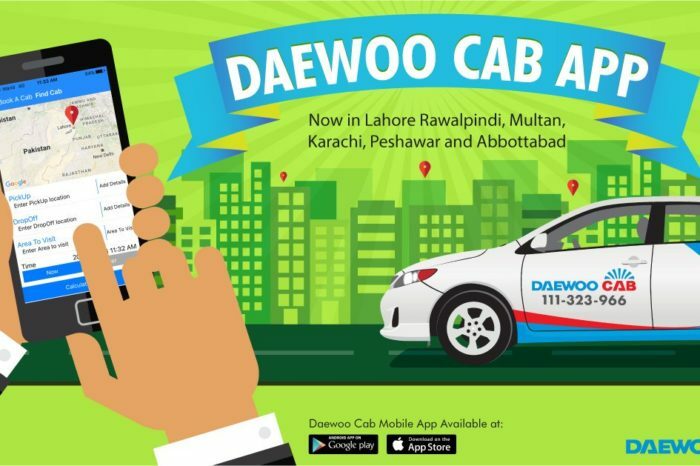 Open Careem app!